Summary: Sapporo Kokusai isn`t off the radar in some hidden corner of Hokkaido, but you won`t have much trouble stealing stealthy pow stashes during the week. Infrastructure is minimal and access in bad weather can be challenging, but when the snow starts flying outside the Sapporo city-limits, little Kokusai will put big smiles on your snow-covered faces. Although somewhat small and uneventful at first glance from the parking lot, Sapporo Kokusai actually rides a lot bigger, offers varied terrain and stacks up quite well against a lot of ski areas in Japan relative to vertical drop, trail length, steepness and trail rating percentages. Even as Sapporo`s largest ski area, Kokusai can`t quite compete with more developed spots like Niseko, Kiroro or Rusutsu for northern Island snow tourism dominance. But bigger isn`t always better in Japan and something never dismissed in Nihon-koku`s snowy kingdom is that deeper trumps all. This low-key ski-jo reachable by public transit from Sapporo might not officially receive more snowfall than these aforementioned ski resorts, but the measuring stick used at Kokusai to determine snow totals is nearly always buried as deep as at any Western Hokkaido pow paradise mid-winter. 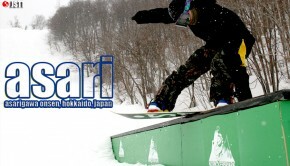 Sapporo Kokusai lags behind Hokkaido`s resort powerhouses in terms of slopeside accommodations and overall ridable terrain, yet base facilities are solid and provide everything you`d expect including food options, ski & snowboard rentals, quality snowsports school, nice retail shop and plenty of ski lockers. 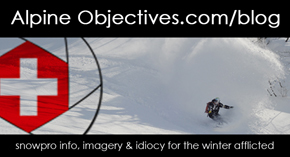 And let`s be realistic…when overhead pow is billowing everywhere in a beautiful setting overlooking the ocean with friendly local vibe, fancy hotels, rowdy nightlife and over-priced gastronomic restaurants are the last things that matter. With only seven (7) trails, Kokusai doesn`t leave much to the imagination. Although lacking variance, trails are very wide allowing for tons of elbow room on-piste. There`s no getting lost at Kokusai either, as beginners drop left from the gondola, intermediates stick to the middle trails and “advanced” skiers & boarders head to the right from the top. “Advanced” is in quotation marks because Kokusai`s trail rating crew seems to have taken a bit of liberty by suggesting the lone advanced trail is Black rated, but it`s definitely good fun none-the-less. Kokusai`s trails will probably bore the hell out of you if you`re an accomplished skier or boarder within a couple of hours, so if you`re forced to stick to the pistes on a day without overhead blower pow everywhere, a 3-hr or 5-hr lift pass will likely be enough. If you`re a beginner or intermediate just out to leisurely cruise the trails, Sapporo Kokusai is an excellent on-piste option for you. Likewise, when the pistes are overflowing with waist deep blower, everybody at any skill level is going to have a good time from morning until last lift. 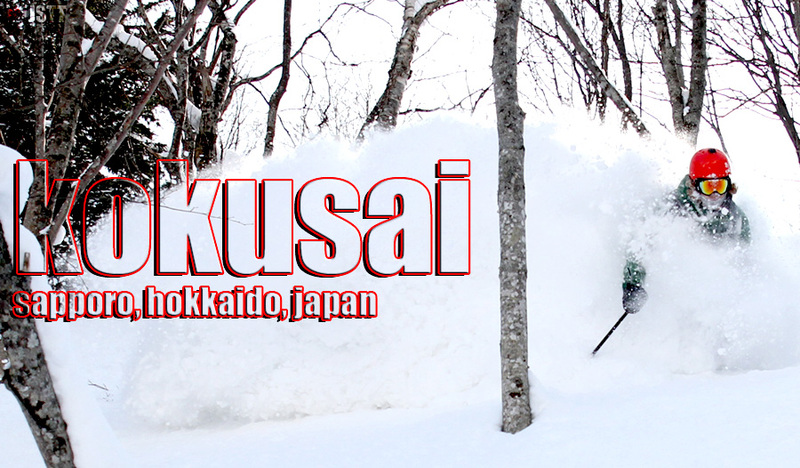 Off-piste riding is a bit limited at Kokusai in terms of expansiveness, but the options that exist are very fun. To rider`s far right from the top, the trees running along the Downhill Trail deliver mellow-pitched, faceshot opportunities while the trees to the left of the Downhill Trail provide short-but-sweet (and often very steep) pow enjoyment. The most varied, challenging and fun off-piste lies more-or-less directly beneath and to the sides of the gondola in the designated “Deep Snow Zone.” You can get into this area straight-down off the top or by riding out along the Downhill Trail then dropping under the rope into the trees. Is it off-limits? Under the gondola, yes, so we recommend not bringing too much attention to yourself if you decide to slide under the rope for gondola-line freshies. Also be sure to pay attention to your line out of nearly all off-piste zones as slopes often gully-out before connecting with the trails leading back to the base. Boarders might need to unstrap briefly if there isn`t a track leading out, but it`s worth it. Hokkaido`s capital city of nearly 2 million, Sapporo, is only 1.5 hours away with steady public transport options available to Sapporites, so yeah, it can get busy as hell on weekends. But generally on weekdays, Kokusai is very mellow for a ski hill with such a populous community nearby. 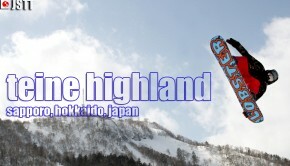 You`ll also definitely see more Japanese at Sapporo Kokusai than some other Hokkaido ski resorts which is great in our view (i.e., Niseko Aussie syndrome hasn`t engulfed Kokusai). On blower pow days the best lines will likely be tracked out by lunch time, but there`s always a hidden stash or two at Kokusai even on the busiest days. There are a total of five (5) lifts at Kokusai. Advanced riders need only sit-back and relax on the gondola rising fom the base to the top — Sky Cabin 8 — while beginners, low-level intermediates and anyone teaching a novice how to snow slide can benefit from a combination of three other lifts flanking far skier-left of the ski area. There is a four-seater chair rising from the base that connects with two double seaters providing inexperienced skiers & boarders the opportunity to cycle shorter trails instead of fall on their faces endlessly for nearly 4 kilometers from top to bottom. Lifts are pretty slow at Kokusai, but that just allows the snowfall to fill-in your tracks by the time you get back to the top. Wow…pow. Yes, that`s a lame bit of info but smiles speak louder than words, especially when you can`t speak because your airways are consistently jammed with air-light snow. The sunny aspect of much of Kokusai`s terrain can negatively impact the snow quality by midday as the season stretches on, but on typically non-stop snowy (and snowy and more snowy) mid-winter days in Western Hokkaido, Kokusai`s snow quantity & quality is fantastic. *Car recommended: Yes, it`ll cut your travel time nearly in half from Sapporo but the bus is great. It`s a reliable option with multiple pick-up/drop-off locations in the city that`ll only cost ¥2500/RT. Kokusai`s location allows visitors staying in different parts of Western Hokkaido to have a great day out on the slopes at this enjoyable ski-jo. Staying at a stylish hotel in Sapporo or top hotel in Otaru is a great option. 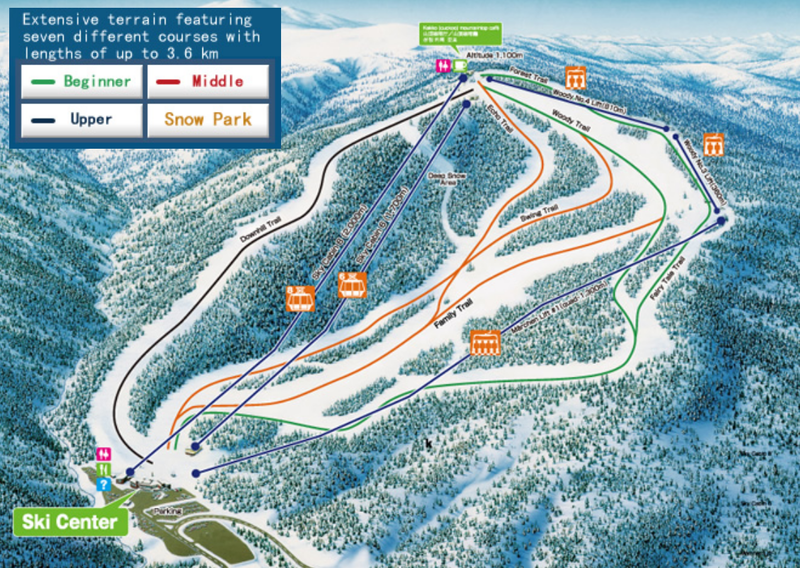 Otherwise, we recommend two spots a bit off the Westerner tourist trail within close proximity of Kokusai ski area. The Jyozankei Grand Hotel, in the wonderful therapeutic onsen town of Jozankei Onsen, offers beautiful, large rooms and the area`s largest outdoor onsen (which is really saying something in an onsen town). Otherwise, if you`re looking for a bit more exclusivity we recommend the fantastic Mori no uta — Song of the Forest. This upscale accommodation offers excellent tatami and western rooms, four marvelous half-board cottages, great onsen and top-notch food. Kokusai is only about 1 hour from Sapporo and only 40 minutes from mellow ocean-side town, Otaru. This makes Kokusai an excellent Hokkaido ski hill to visit for mixing on-hill powder submersions with memorable off-slope cultural excursions. Hop off the ski trails and onto snowmobile trails outside of Sapporo, tour & taste at one of Japan`s premier whiskey distilleries in Yoichi, enjoy a meal at one of Sapporo`s outstanding Susukino high-rise izakaya or visit a great museum to learn about Sapporo`s Winter Olympic heritage with epic views of the city. Snowtrip Tip 3: Public transport to Kokusai? Of course, it`s Japan…. 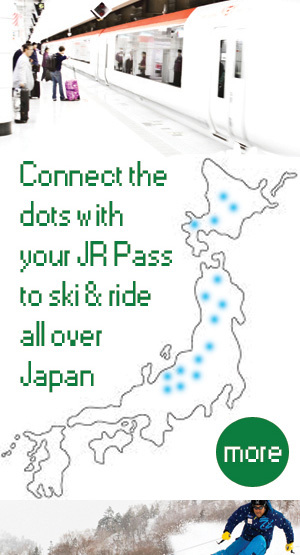 Japan has one of the best public transit systems in the world and Sapporo Kokusai ski area access hasn`t been left out. Buses start operating routes from Sapporo to Kokusai at 6:50am with the last return bus departing the snowy Kokusai parking lot (which is free for cars) at 5:30pm back toward Sapporo. There are different route options depending on your origin point in the city but generally travel time is between 90-110 minutes one-way. You`ll want to hop on at 7:00am from the Sapporo Main Bus Terminal to be there before first chair, otherwise you can catch the 7:30am for arrival just as the lifts start running at 9am. We recommend the Jotetsu Bus as it gets you there earliest, has a ton of convenient pick-up/drop-off locations in town, costs maximum ¥2500 for round-trip tix and also offers reduced bus+lift tix specials. The Sapporo Kokusai English language page has route stops and bus options listed here. 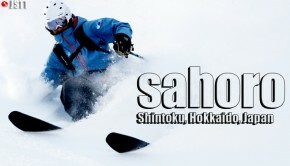 Snowtrip Tip 4: Why ride only 1 ski hill in Hokkaido? Sapporo Kokusai is a great reminder that skiing & snowboarding in Japan isn`t always about number of trails, lifts and giant hotels at the base. Niseko is well-deserving of its accolades as one of the world`s powder capitals that every pow junkie needs to sample at least once. But there are so many other amazing places to ride that we recommend getting out and exploring the other excellent ski areas in Western Hokkaido.